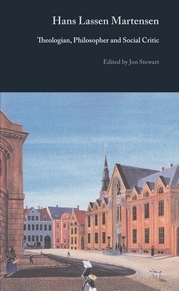 The monograph series Danish Golden Age Studies (ISSN: 1903-3338) is dedicated to advancing international research on the Danish Golden Age, i.e., the period from 1800 to around 1850 when writers and thinkers such as Hans Christian Andersen and Søren Kierkegaard were active. The series is interdisciplinary and thus includes research monographs in areas such as philosophy, theology, literature, history, aesthetics, art history, and drama. It features different kinds of monographs, such as Ph.d. dissertations, Habilitation theses, anthologies, and conference proceedings. The goal of this series is to promote international interest in this rich cultural period of Danish history. 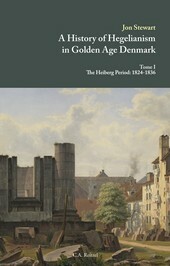 Danish Golden Age Studies builds on the work published in the parallel series, Texts from Golden Age Denmark, which features English translations of key Danish texts from the period. The General Editor of Danish Golden Age Studies is Jon Stewart. 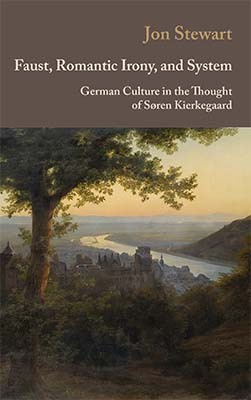 Kierkegaard readers are familiar with his dogged polemic with Hegelianism, his critique of Friedrich von Schlegel’s Romantic irony, and his visit to Schelling’s lectures in Berlin. However, these are only a few well-known examples of a much deeper relation of influence and inspiration. Kierkegaard read German fluently and was interested in many different authors and thinkers from the German-speaking countries. The auction catalogue of his personal library reveals a wealth of works in German from a number of different fields. Given his famous criticisms of the Hegelians, Schlegel, and Schelling, one might be tempted to believe that Kierkegaard was anti-German. But this is clearly not the case since he had high praise for some German thinkers such as Hamann, Lessing and Trendelenburg. The present work is dedicated to an exploration of Kierkegaard’s relation to different aspects of Germanophone culture. Its goal is to gain a better appreciation of the importance of his various German sources for his thought. The points of contact are so numerous that it can truly be said that if it were not for the influence of German culture, Kierkegaard would not have been Kierkegaard and the Danish Golden Age would not have been the Golden Age. Date of Publication: 2007. Date of Paperback Edition: 2013. While many studies of On the Concept of Irony treat Kierkegaard’s “irony” primarily from a literary perspective, The Isolated Self also examines irony with an eye to the fundamental problem in Kierkegaard’s authorship, namely, the challenge of becoming a “self.” Kierkegaard’s “irony” is a cavalier way of life that seeks isolation from the other—an isolation he considers necessary to becoming a self. At the same time, irony is said to be a hindrance to selfhood because the self fails to become a part of the social world in which it resides. The Isolated Self thus puts the existential tension of On the Concept of Irony into relief and suggests how it sets the stage for the rest of Kierkegaard’s authorship. As the basis for these findings, The Isolated Self reconstructs the horizon of understanding during Kierkegaard’s time, including Hegel’s interpretation of Socrates and Friedrich Schlegel’s romantic literature. In addition, the work explores material from the little-known Danish discussion of irony in the works of Poul Martin Møller, Johan Ludvig Heiberg and Hans Lassen Martensen. This work has both an intrinsic and an extrinsic thesis. The setting is within the broader context of the study of the thought of Kierkegaard. The extrinsic thesis is that the work of Kierkegaard is essentially polemical in character and cannot be understood without taking into account the highly specific nature of his polemics against Danish Hegelianism. The special target of these polemics is the attempts of the Danish theologian, Hans Lassen Martensen (1808-1884) to bend the Hegelian philosophical method to his own theological purposes. The intrinsic thesis is that Martensen’s development is almost entirely within the lines of a form of theological intuitionism to which his use of Hegel bears only an external relation. Hence, if it is supposedly Hegelianism which Kierkegaard attacks in the writings of Martensen, it is a highly modified and atypical form of it. 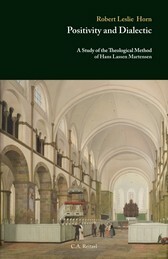 This work traces Martensen’s theological intuitionism through four stages in the period which is pertinent for the study of Kierkegaard, the years 1833 to 1850. The present tome is the first of a three-volume work dedicated to exploring the profound influence of G.W.F. Hegel’s philosophical thinking in Golden Age Denmark. This initial volume covers the period from the beginning of the Hegel reception in the Danish Kingdom in the 1820s until 1836. The dominant figure from this period is the poet and critic Johan Ludvig Heiberg. While Søren Kierkegaard’s polemic with the Danish Hegelians is well-known, the actual texts and ideas of these thinkers have received little attention in their own right. The present work demonstrates that this largely overlooked tradition of Hegel reception played a profound and indeed constitutive role in many aspects of Golden Age culture: philosophy, theology, literature, poetry, law, journalism, the arts, etc. Moreover, it brought into its orbit most all of the main figures from the period. “Das Buch zeichnet sich aus durch eine virtuose und akribische Materialkenntnis der dänischen Hegelrezeption. Ein solches Buch kann man nur schreiben nach jahrzehntelanger Arbeit am Thema." Helmut Schneider, Hegel-Studien, vol. 46, 2011, p. 279. Paul Vincent Spade, Journal of the History of Philosophy, vol. 41, no. 1, January 2009, pp. 150-151. Lasse Horne Kjældgaard, Politiken, February 9, 2008, section “Bøger,” p. 13. "Der bedeutendste Beitrag zur Rekontextualisierung von Kierkegaards Denken außer Søren Kierkegaards Skrifter wurde immerhin vom in Amerika geborenen Jon Stewart geleistet. Der seit 1996 im Sören-Kierkegaard-Forschungscenter angestellte Forscher hat zunächst zwei umfangreiche Bände unter dem Titel A History of Hegelianism in Golden Age Denmark (2007) herausgegeben." Johnny Kondrup, in Existenz und Reflexion. Aktuelle Aspekte der Kierkegaard-Rezeption, ed. by Matthias Bauer and Markus Pohlmeyer, Hamburg: Ingel Verlag 2012. 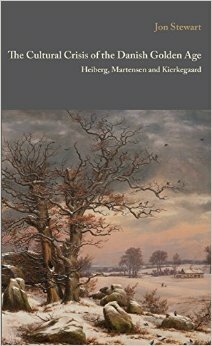 This second tome treats the most dynamic period in the history of the Danish Hegel reception, namely, the years from 1837 to 1842. The main figure in this period is the theologian Hans Lassen Martensen who made Hegel’s philosophy a sensation among the students at the University of Copenhagen in the late 1830s. This period also includes the publication of Johan Ludvig Heiberg’s Hegelian journal, Perseus, in 1837 and 1838, and the monumental review of it by Frederik Christian Sibbern. During this time Hegel’s philosophy flourished in unlikely genres such as drama, with Heiberg’s speculative comedy, Fata Morgana (1838), and lyric poetry with his New Poems (1841), which included his satirical classic, “A Soul after Death.” This period also witnessed Hegel’s philosophy make inroads in fields such as jurisprudence and art criticism. During these years Hegelianism enjoyed an unprecedented success in Denmark that began to fade as it gradually became perceived as a dangerous trend. Søren Kierkegaard never shared the cultured public’s enthusiasm for Hans Lassen Martensen, whom it identified as its chosen one. 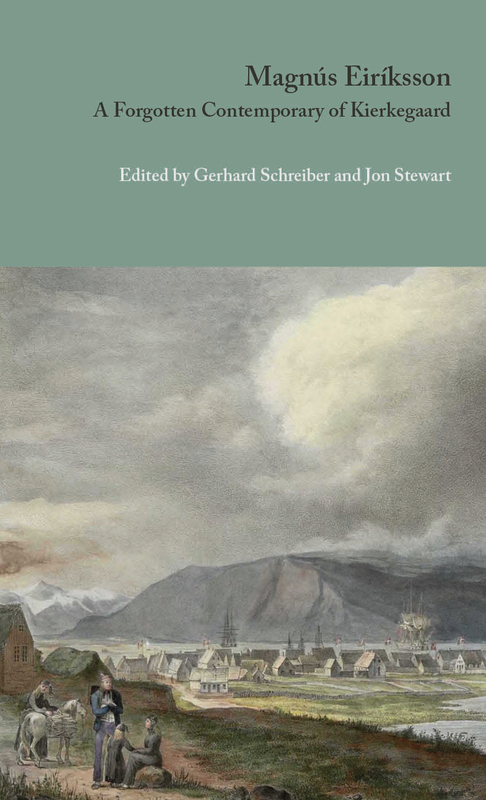 This volume examines the Kierkegaard-Martensen relationship, establishing ways in which the speculative theologian Martensen was a source for Kierkegaard’s thought. Kierkegaard’s relationship with Martensen was multidimensional and volatile. He functioned as Kierkegaard’s personal acquaintance and occasional conversation partner, tutor, teacher, dissertation committee evaluator, representative of Golden Age Danish culture, book writing and selling competitor, fellow Lutheran and bishop. While the two never saw things eye-to-eye, and Kierkegaard’s dislike for Martensen received expression in his writings, this spiteful ridicule and derision was directed toward one upon whom Kierkegaard was significantly dependent. Kierkegaard’s intellectual life and work underwent extensive development during the two decades of his literary output from 1834 to his death in 1855. These developments can be better grasped by investigating developments that Martensen himself was going through. Martensen’s career progressed from an early concern with philosophy of religion addressed to the public of the academy, to dogmatic theology addressed to the public of the church, to practical theology addressed to the public of society. The questions and issues preoccupying Martensen changed with these progressions, and these changes did not go unnoticed by Kierkegaard. 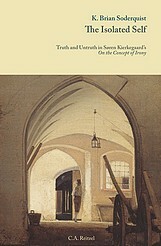 The case is here argued that Kierkegaard followed Martensen’s intellectual development very closely and that Martensen’s shifting theological agenda in fact notably shaped the evolving agenda of Kierkegaard’s own developing religious thought. The present anthology is dedicated to the varied work of Johan Ludvig Heiberg (1791-1860). While Søren Kierkegaard, Hans Christian Andersen and N.F.S. Grundtvig have long been recognized as leading cultural figures of the Golden Age, worthy of careful study, Heiberg’s reception has been slower, despite the fact that he was a towering figure in his own day. Although Heiberg has been studied for years in Denmark by scholars such as Henning Fenger and Morten Borup, he has not enjoyed the same reputation abroad. Recently, however, Heiberg’s work has begun to catch the eye of international scholars. This volume is a collection of articles dedicated to the different dimensions of Johan Ludvig Heiberg’s thought. It is an interdisciplinary collection in an attempt to cover as many different aspects of Heiberg’s intellectual activity as possible. Thus, scholars from fields such as philosophy, literature, theology, philology, history, and art history are represented with original contributions. Although he has long been known primarily as the object of Søren Kierkegaard’s disdain, Hans Lassen Martensen (1808-84) was a celebrated figure in his own time. Recognized as a brilliant scholar and highly successful churchman, Martensen worked in a number of different areas of theology and philosophy, producing an impressive literary corpus over a period of several decades. His authorship is remarkably varied, including philosophical treatises, theological tracts, sermons, eulogies, book and theater reviews, as well as polemical and occasional pieces. During his lifetime, he saw his works translated into German, Swedish, English, French, Hungarian and Dutch. These works were widely read and frequently reprinted in numerous editions throughout the second half of the century. It is unfortunate that to international research he was known for many years only as a central figure in Kierkegaard’s attack on the Danish State Church. In the past few decades there has, however, been a renewed appreciation for Martensen as an important thinker in his own right. The present anthology attempts to bring together the works of the leading Danish and international scholars responsible for this recent surge of interest. In order to capture the different aspects of Martensen’s thought, the volume has been organized into three main rubrics: I. Theology, II. Philosophy, and III. Politics and Social Theory. Collectively, the articles featured here treat Martensen’s main works from his dissertation, On the Autonomy of Human Self-Consciousness in 1837 to his monumental, three-volume Christian Ethics from the 1870s. 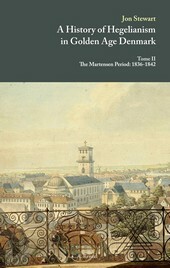 The authors demonstrate that the problems critically addressed by Martensen in the Danish Golden Age are still very much with us today in the twenty-first century. Not only was Johan Ludvig Heiberg the most famous theater critic of the Danish Golden Age, but he also wrote the most important aesthetic essays about theater. Some of his dramatic works belong to most successful plays ever performed at the Royal Theater. Moreover, Heiberg was married to one of the greatest Danish actresses of the nineteenth century. Both his wife Johanne Luise Heiberg and his mother Thomasine Gyllembourg wrote dramatic works that were performed on the stage of the Royal Theater. At the end of his career Heiberg finally became director of the Royal Theater from 1849 to 1856. Seen from today’s point of view Heiberg dominated theater life in the mid-nineteenth century Denmark in an absolutely unique and astonishing way. But it is not only because of his remarkable position in the small literary field of Golden Age Denmark that his dramatic works and his theory of theater are worthy of study. 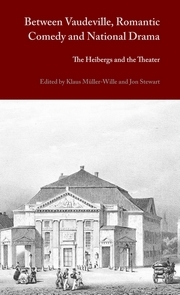 As the articles in this volume show, Heiberg’s lifelong occupation with theater was closely tied to his far-reaching philosophical and political interests. In this respect his aesthetic essays as well as his plays offer useful material for those hoping to obtain new insight into the cultural life of Golden Age Denmark in general. "Heiberg’s memory was restored by the many years of philological research of scholars like Bruce Kirmmse, Alastair Hannay and others that was completed by the efforts of the Kierkegaard Research Centre in Copenhagen initiated and directed by Niels Jørgen Cappelørn and masterfully executed by Jon Stewart. These revealed Heiberg’s real importance and influence based on accurate philological research followed by translations and publications of his works to make the forgotten texts available....This volume...helps us to understand deeper and better the role and the activity of the most influential family of 19th century Copenhagen." András Nagy, European Journal of Scandinavian Studies, vol. 45, no. 2, 2015, pp. 240-248. "The Heibergs and the Theater is clearly an important contribution to the evolving field of Heiberg studies. It provides a wealth of valuable insights into the history and culture of the Danish Golden Age and, of course, into the Heibergs themselves. For the most part, the pieces work nicely together to create a significantly new and provocative picture of the Danish Golden Age, even as they cross sometimes well-trodden territory. What is perhaps most notable is the nuance and complexity explored by the volume….Two decades ago, one would have been hard- pressed to find such discussions of the Heibergs. This volume represents not just an important addition to the field, but also a significant leap forward in the growing sophistication of the field." Nate Kramer, Scandinavian Studies, vol. 87, no. 2, 2015, pp. 303-309. In recent years there has been a growing interest in the rich culture of the Danish Golden Age. It is no exaggeration to say that in almost every area of cultural life women played a significant role in this period. While some works on this topic have appeared in Danish, the international reader has had very little opportunity to assess the important cultural contributions made by women during the Golden Age. 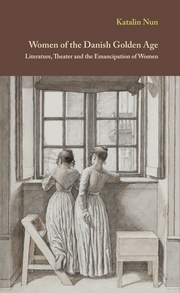 The present monograph wishes to fill this gap by presenting the role of women in literature and theater and by discussing the more general question of the emancipation of women of the time. The book is divided into three main parts, based on three main areas of interest. Each area has its central figure, who can be regarded as representative for the respective field. Thus, the first part, dedicated to literature, has as its focal point Thomasine Gyllembourg (1773-1856) and her writings. The second part deals with the theater and the most famous actress of the period, Johanne Luise Heiberg (1812-90). Finally, the third part discusses the question of the emancipation of women examined through the case of the controversial author Mathilde Fibiger (1830-72). "...the author succeeds in presenting three relatively unknown but central Danish women--author Thomasine Gyllembourg, actor Johanne Luise Heiberg, and feminist Mathilde Fibiger--to an international audience. Writing in a clear, engagin narrative style, Nun devotes roughly a third of the text to each woman. The most interesting treats cultural matriarch Madame Gyllembourg, whose novel Two Ages receives a fresh analysis [...]. Nun succesfully unbinds Two Ages from Kierkegaard's treatment of it in A Literary Review (1846; Eng. tr., 2001)--through which the novel is probably best known to non-Danish readers--by arguing that Kierkegaard was not so much reviewing Two Ages as he was using aspects of it to explore his own concerns." "Through countless sources and with a very well developed understanding of the period, Katalin Nun guides the reader through the landscape of high culture in Copenhagen in the "Golden Age". … Not only are personalities such as Johanne Louise Heiberg, Thomasine Gyllembourg and Mathilde Fibiger interesting by virtue of their own writings; in her account, Nun manages to prove their impact on other thinkers of their time, for example, on Johann L. Heiberg who was greatly influenced by all three women, and so was Kierkegaard to a degree. … The reader, who is unfamiliar with the details of the period's debates and publications, is presented with a methodical and balanced introduction, while the insider obtains more insight into relationships and intellectual exchanges which have not always been granted appropriate attention." - Ann-Sofie Gremaud, NORDEUROPAforum, 2014. The Danish Golden Age spanned a period of time that saw a number of different kinds of crisis: political, economic and cultural. Events such as the French Revolution, the Napoleonic wars, the national bankruptcy in 1813, the Revolution of 1848 and the first Schleswig War radically transformed Danish society. The many changes that took place at this time made it a dynamic period in which artists, poets, philosophers, and religious thinkers were constantly enjoined to reassess the current situation. Some of Denmarks greatest luminaries, such Johan Ludvig Heiberg, Hans Lassen Martensen and Soren Kierkegaard, articulated the nature of the crisis and proposed different solutions to it. The present work traces the different aspects and dimensions of this crisis by means of a series of case studies. It shows how the perception of the crisis was a kind of spirit that haunted many of the intellectuals and artists of the period. But far from being something negative or destructive, it was a motivating and stimulating force that helped to make the Golden Age what is was. It made artists and thinkers more willing to break with the past and seek new solutions and approaches. Thus it is argued that the crisis can be seen as one of the central defining elements of what we know as Danish Golden Age culture. But the present work is not a purely historical study since it is shown that many of the key elements of the crisis can still be found in our modern world today. Heibergs diagnosis of the period as suffering from relativism, subjectivism and nihilism sounds strikingly familiar to the modern reader. When seen in this manner, the Danish Golden Age becomes profoundly interesting and relevant for the broad spectrum of problems of modernity. “The first half of the nineteenth century in Denmark, somewhat ironically known as the Golden Age, was steeped in economic, political, and religious crisis. Jon Stewart has done more than any other scholar or editor in bringing this fascinating and enigmatic era in Scandinavian letters to an English-speaking audience. 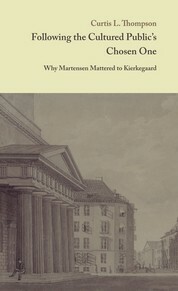 In his latest book, The Cultural Crisis of the Danish Golden Age: Heiberg, Martensen and Kierkegaard, Stewart teases out how several of the nation's leading writers and critics articulated the speed at which Danish culture was changing, while also mapping out how they attempted to solve the looming crisis entailed in these changes….Overall, Stewart’s work demonstrates how the pervasiveness of critical discourse was not in tension with the notion of a Golden Age but rather that the tension inherent in that multi-layered discourse created the matrix of success, which in essence defined the Danish Golden Age. 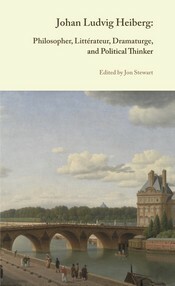 Although Søren Kierkegaard is a major subject of interest for Stewart’s project, something consistent with his earlier work, the contours of this monograph extend beyond the figure of Kierkegaard to thinkers perhaps not as well-known to more general readers. Such figures as Johan Ludvig Heiberg, Hans Lassen Martensen, and Eggert Christopher Tryde are also contextualized in terms of Stewart’s reassessment of cultural effusion. The book also provocatively positions the Danish Golden Age in conversation with our present day. Gantt Gurly, Scandinavian Studies, vol. 90, no. 1, 2018, pp. 139-141. "Stewarts Untersuchungen gehen von der simplen Feststellung aus, dass sich Kierkegaard nicht an den philosophischen Schriften Hegels abarbeitet, sondern in erster Linie an Arbeiten aus seinem dänischen Umfeld, die ihrerseits von Hegel inspiriert sind. Mit dieser feinen Akzentverschiebung gelingt es Stewart, eine der wichtigsten intertextuellen Grundlagen der Kierkegaard-Forschung in Frage zu stellen. … Immer wieder gelingt es Stewart in seiner Studie auf solch überraschende und kontraintuitive Querverbindungen zwischen Kierkegaard und seinen dänischen Zeitgenossen aufmerksam zu machen. Dabei unterstreicht er die Modernität einer umfassenden Krisenerfahrung, die eben nicht nur bei Kierkegaard formuliert wird, sondern auch bei Heiberg und seinen Kritikern. … Insgesamt…handelt es sich um ein sehr lesenswertes Buch, das sich gleichermassen an Kierkegaard-Forscher sowie am Dänischen Guldalder interessierte Literatur- und Kulturwissenschaftler richtet." Klaus Müller-Wille (Universität Zürich), Orbis Litteratum, vol. 71, no. 4, 2016, pp. 435-436. Claus Møller Jørgensen, "The Cultural Crisis of the Danish Golden Age - Heiberg, Martensen and Kierkegaard," BogFeature, 23 November, 2015. Design and layout: Katalin Nun Stewart. Illustrations: Museum Tusculanum Press, Wikimedia Commons and Katalin Nun Stewart.